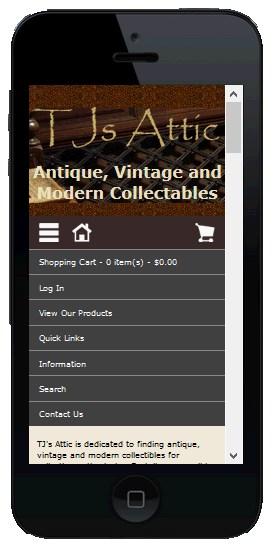 If you want a fresh, new RESPONSIVE mobile Zen Cart Template for your existing Zen Cart shop, we will happily do a re-design of your Zen Cart template so that it is not only updated in the way it looks, but it will also look great for those people viewing your website with a mobile phone or tablet. 5. 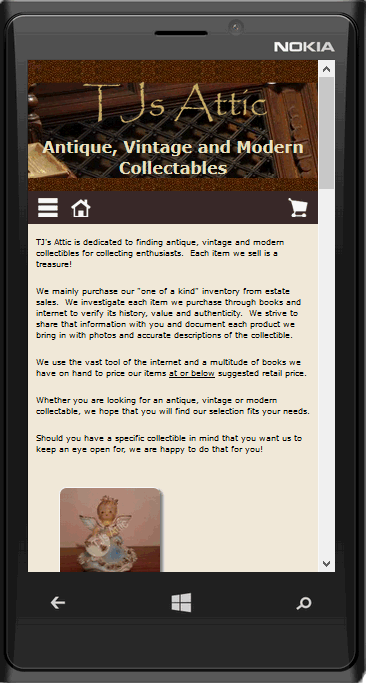 Configuring the site to be responsive on mobile devices and tablets. Please keep in mind that this does NOT include any support of setup or customization of items you sell, setup of the cart functions like payment modules, shipping, etc. - it is just meant to give you the "look and feel" of the site. If you need support via phone or email, additional charges of $50/hour will apply. A re-design also does not include an upgrade to the version of your website. That is purchased separately and is best done at the same time as the responsive template design. Please email or call me if you have any questions on this item prior to purchasing it. Below are some photos of different devices in their actual sizes so you can get an idea of what a responsive template does when viewed by them. IPhone5 without menu clicked and with menu clicked.